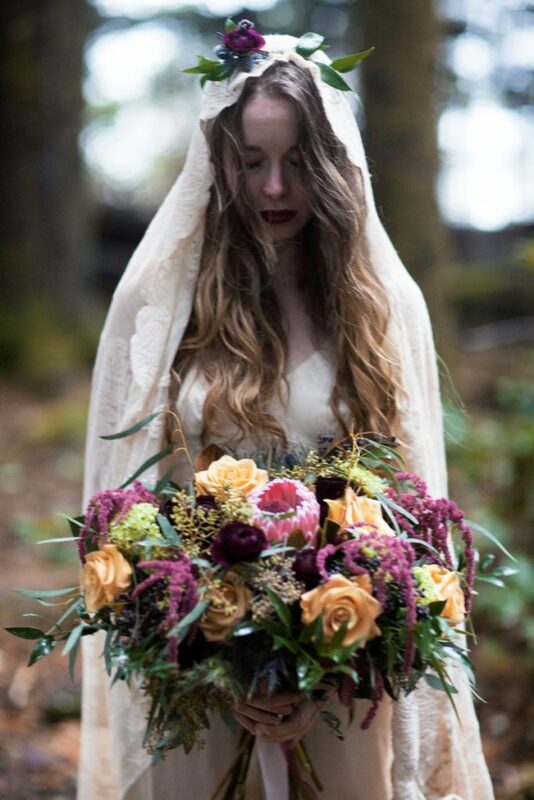 Bridal style is often a matter of where you are marrying – which allows Tofino brides to be as traditional or creative as they wish! 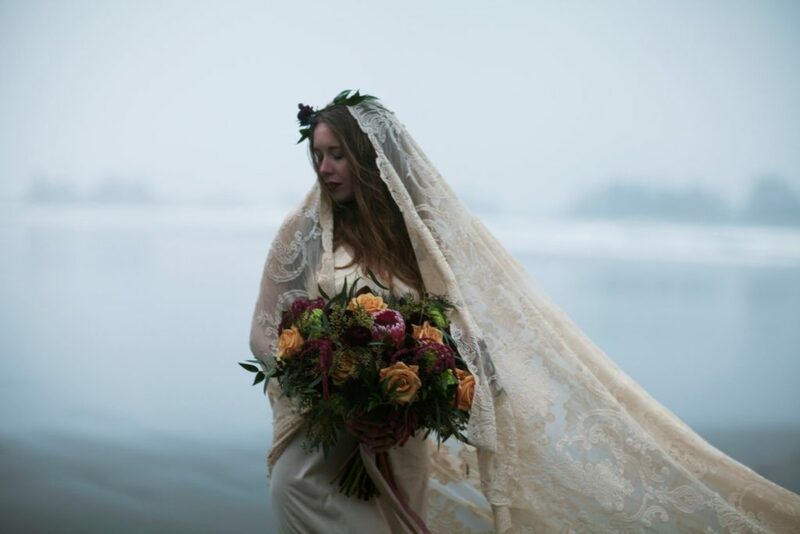 This beach editorial features a Vancouver Island beach bride with her gorgeous floral bouquet filled with colour. 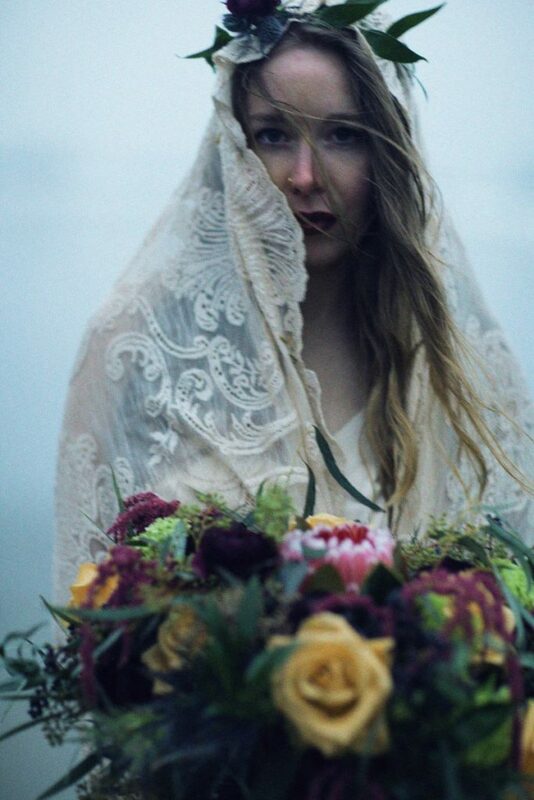 We love how the breeze picks up the lace veil topped by a floral crown. 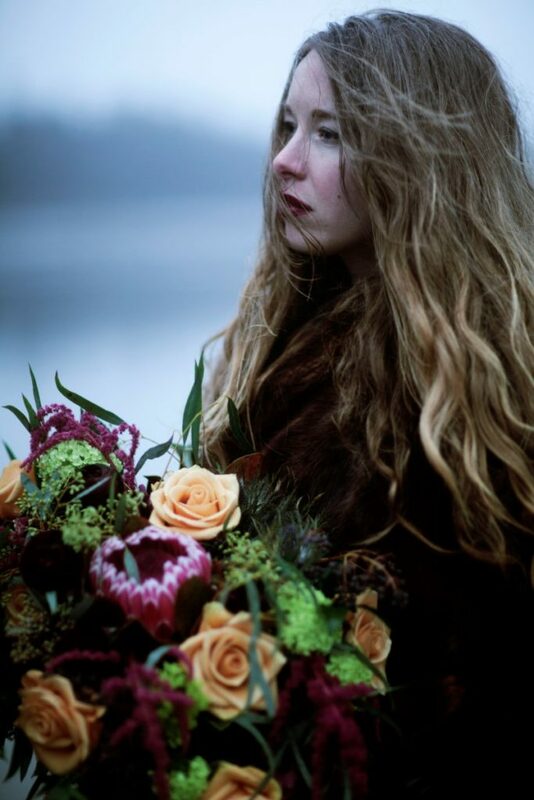 The floral inspiration bouquet features roses and protea framed by dark greenery. 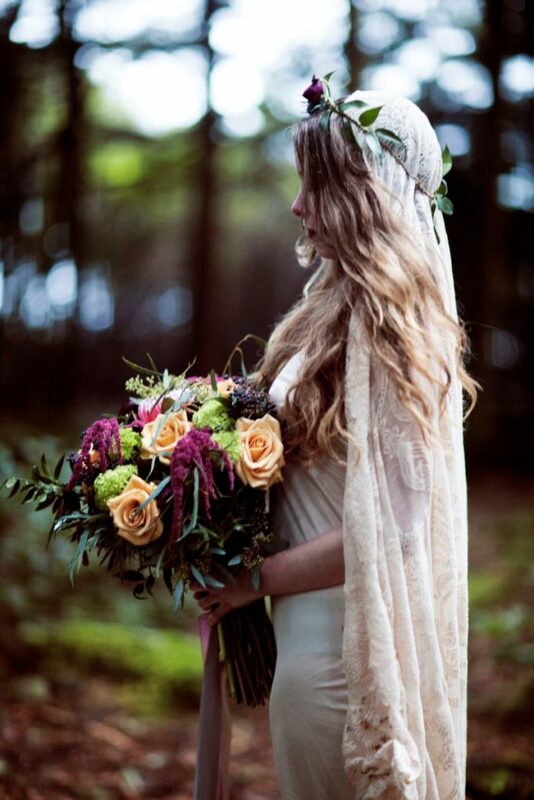 Stylish floral bouquets are appearing everywhere with long, flowing ribbons wrapped around the stems. The varying colours, lengths and widths create a pretty look against bride and bridesmaid gowns. 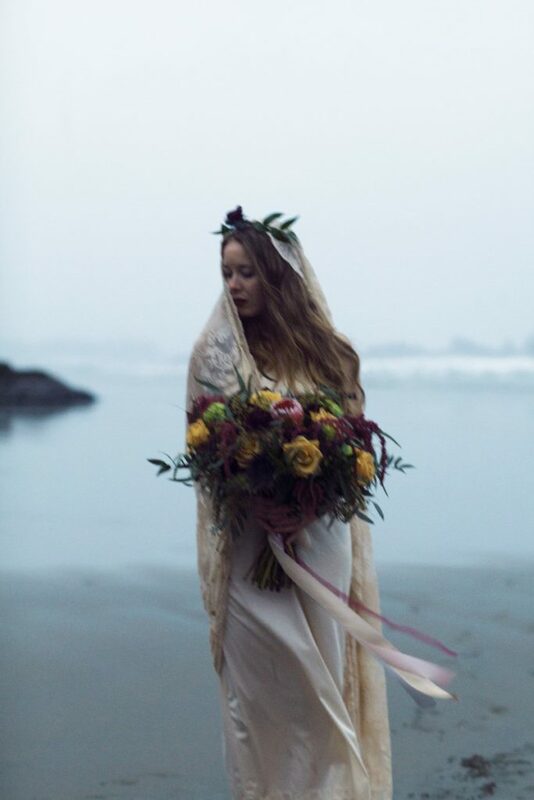 You are invited to more beach wedding inspiration!